Ms. Astrid Lockwood is an Associate with The Federal Practice Group Worldwide Service and focuses her practice in immigration law. 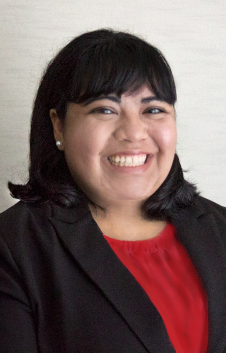 Ms. Lockwood is fluent in both English and Spanish and has substantive experience in immigration law. Prior to joining The Federal Practice Group, Ms. Lockwood ran her own law firm, where she focused exclusively in immigration law representing clients before the U.S. Citizenship and Immigration Services (USCIS), the Board of Immigration Appeals (BIA), the Executive Office of Immigration Review (EOIR), and the 4th Circuit Court of Appeals. Prior to starting her own firm, Ms. Lockwood served as an Associate at two law firms where she specialized in immigration, workers’ compensation, criminal law, and employment law. Ms. Lockwood graduated from the University of Wisconsin at Oshkosh Honors with a B.A. in Criminal Justice. She completed the Certificate Program in Arbitration Law and Practice from Queen Mary University in London, England. She later graduated from Hamline University School of Law with an emphasis on employment and labor law. She will receive her Master’s in Public Administration from Penn State University in May 2018. An Adjustment of Status Paved Our Client’s Way Towards Citizenship: After USCIS had denied the client an adjustment of status application and was placed in removal proceedings, Ms. Lockwood was able to obtain a stay of the proceedings to allow for adjudication of a new adjustment of status application and ultimately terminate the removal proceedings. The client is now happily on their way to becoming a US Citizen. From Removal Proceedings to U-VISA holder: The client was placed in removal proceedings when they contacted Ms. Lockwood. Ms. Lockwood was able to obtain a U-visa based on their status as a crime victim and ultimately terminate the proceedings before the immigration court. The client is now a U-visa holder and applying for adjustment of status to that of a Lawful Permanent Resident. Winning a Citizenship Petition: After the client feared they had lost status as a lawful permanent resident and being told by multiple attorneys nothing could be done, the client sought the services of The Federal Practice Group. Ms. Lockwood was able to obtain a new lawful permanent resident card and also successfully win the client’s citizenship petition. The client was sworn in as a US Citizen on December 15, 2018. Spouse Becomes a Lawful Permanent Resident: The client’s spouse, a national from Afghanistan, had been denied a family-based immigrant visa based on a finding of terroristic activities. Ms. Lockwood and The Federal Practice Group were able to successfully obtain a reversal of the finding of terroristic activities and obtain an approved immigrant visa. The client’s spouse is now in the United States as a Lawful Permanent Resident, and after six years of marriage can finally live together in the United States.